Mindy Smoot Robbins is a Broadway performer and owner and artistic director of On Broadway Academy. She is a member of The Church of Jesus Christ of Latter-day Saints. She started performing at age four and taking private lessons at age six. At age sixteen, she drove from Provo to Farmington to perform in the Music USA shows that were featured at Lagoon Amusement Park. Robbins graduated from Brigham Young University with a BFA in musical theater. She performed with the Young Ambassadors at BYU. Soon after graduation she was cast as Sutton Foster’s understudy (Eponine) in the “Les Miserables” touring company. She also performed at Walt Disney World and eventually did voice work with Disney. She guest-starred on the television series Touched by an Angel and national television commercials. Robbins did voice work for the feature film 12 Dogs of Christmas: The Great Puppy Rescue. She performed at Walt Disney World’s Hoop Dee Doo and Kids of the Kingdom and at Tokyo Disney’s Peco’s Goofy. She was a guest performer for the opening ceremonies of the Olympic World Senior Games. She has performed with Colm, Wilkinson, Jason Alexander, Sutton Foster, and Sam Harris. She has performed with the Los Angeles Philharmonic Orchestra. She is married to Connor Robbins, also a performer. They have pursued their careers worldwide together. They settled in Utah and she started teaching voice lessons out of her home. The waiting list for her classes grew so long, she decided to start teaching group lessons. Her business grew into On Broadway Academy with a faculty of over ten vocal coaches and theater performers. Robbins is the artistic director and a faculty member while her husband oversees the administrative and financial side of the business. 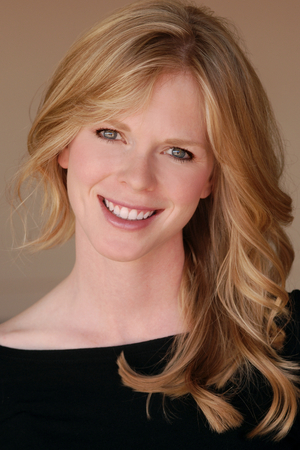 She is a member of the National Association of the Teachers of Singing and the Actor’s Equity Association. Robbins is also Academy Director of Music Theatre for Pioneer High School for the Performing Arts. This page was last edited on 29 July 2014, at 15:39.